“We have innovated over the last year bringing new valued offerings to market at more cost effective levels for our clients." 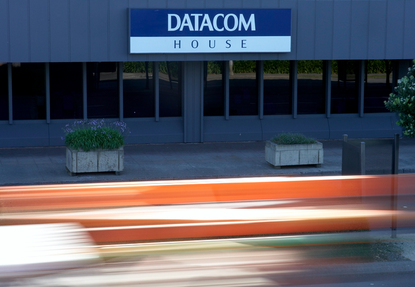 New Zealand owned and operated Datacom has continued its strong start to 2016 across Australasia, after taking out EMC’s top Kiwi partner award. Revealed at an intimate partner awards bash in Sydney last week, the company took home the Solution Provider Partner New Zealand award, following its double crowning at Cisco Live! a week prior. “Receiving Solution Provider Partner New Zealand outstanding achievement award from EMC recognises our continued focus delivering best in class cloud and storage services to the public and private sectors in New Zealand,” says Mark Muru, Director, Datacom New Zealand. “We have innovated over the last year bringing new valued offerings to market at more cost effective levels for our clients. Datacom’s recognition as one of EMC’s highest performing partners of 2015 highlights the company’s ongoing transformation on both sides of the Tasman, as recognised by David Webster, President of Asia Pacific and Japan, EMC. “It’s exciting to see the innovative projects and solutions they have implemented for their customers last year," said Webster, when speaking at the EMC Awards. The triple award crowning also follows further success in Australia and New Zealand, with disaster recovery and business continuity software provider Zerto attributing its 300 percent local growth to its growing relationship with Datacom.